Got some strawberries? Got some cream? Got some time? 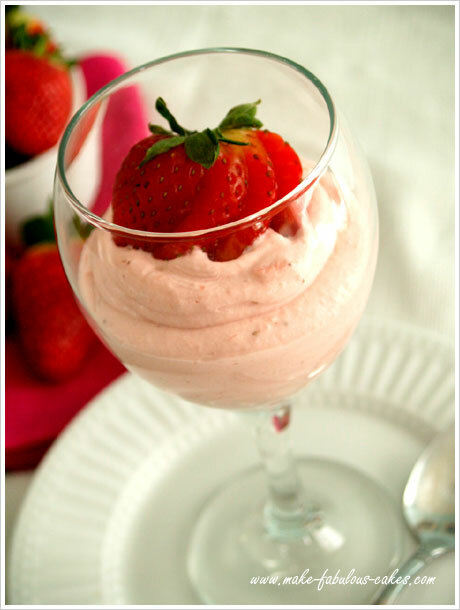 Then let's make some strawberry mousse. 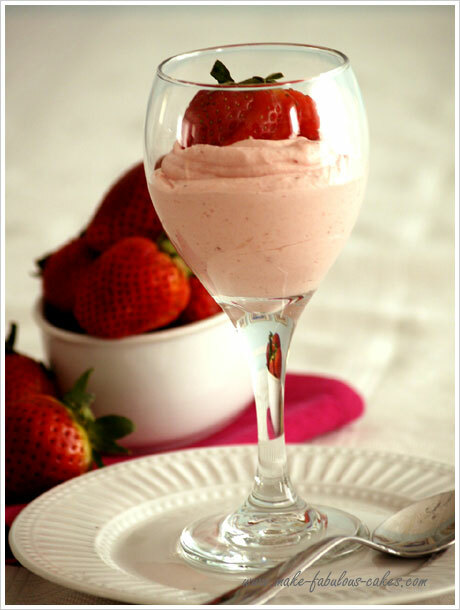 This strawberry mousse is a versatile and elegant dessert. 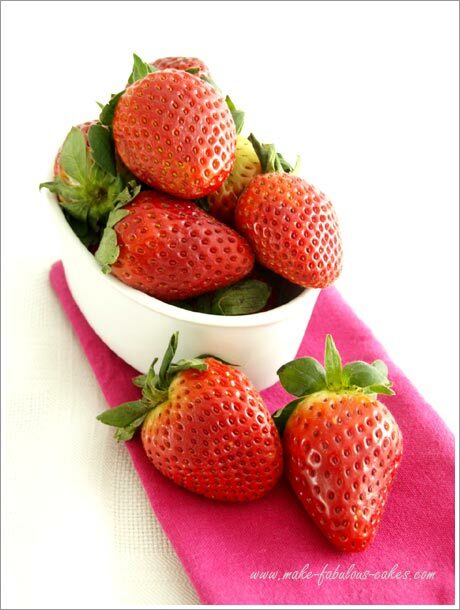 Serve on its own in a tall wine or martini glass garnished with a whole strawberry and mint leaves. Make or buy some mini chocolate cups and fill with some of the mousse and your companions will think you slaved over them the whole day. It can also be used as a cake filling. 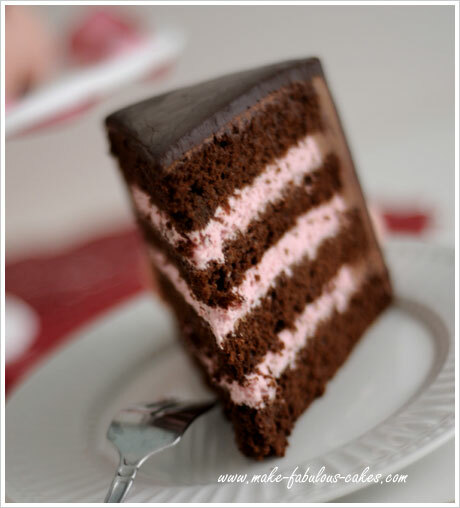 Make a beautiful torte by cutting up some chocolate or yellow cake in half and sandwich the strawberry mousse in between the cake layers. One tip though when using this as a filling, make sure that the mousse had set before using it. If you use it too soon, the mousse might be too soft and might not be able to support the cake layers. Puree the strawberries in the food processor. Strain if desired. (I personally like the mousse with seeds.) Add sugar and lemon juice. Sprinkle gelatin over the cold water to let it bloom for five minutes. Place in the double boiler (baine marie) over boiling water. Melt the gelatin. Take the gelatin out of the heat once melted. It will loose it's binding properties if left in high heat. Stir the gelatin into the strawberry puree and let cool until a bit thick. Whip the heavy cream until medium stiff peaks form. Gently fold the whipped cream into the puree with a rubber spatula until well incorporated. Spoon into serving dish or use as cake filling.